Improve your smile with Zoom! teeth whitening in Annapolis! Tooth discoloration occurs gradually over the years as diet and lifestyle choices leave their mark on dental enamel. Berries, red wine, coffee, tea, and tobacco are some of the biggest contributors to discoloration. When stains accumulate enough to become noticeable, you may begin to feel self-conscious and want to hide your smile. Over-the-counter toothpaste and mouthwash typically don't lead to the expected dramatic improvements, but there is an effective solution for dulled and stained teeth. Dr. Oneal Russell offers Zoom! teeth whitening at his Annapolis dental office so you can finally have the pearly white smile you've been wanting. What Is Zoom! Laser Whitening? Zoom! laser whitening is a quick and easy in-office whitening treatment that uses a highly effective whitening gel and a special light to brighten teeth. When exposed to the light, the gel activates and works to dissolve staining -- not just on the surface of the teeth, but also deep in the enamel where ordinary whitening toothpaste and mouthwash products often cannot reach. Within just 1 hour, your teeth can be up to eight shades whiter! Zoom! laser whitening is able to remove stains that over-the-counter whitening products simply can't. Because laser whitening is completed under the supervision of the experienced Zoom! whitening team at our Annapolis dental office, the procedure is safe, quick and highly effective. Compared to teeth whitening strips or pastes, Zoom! whitening can give you the bright, white smile you’ve always wanted in one office visit with no mess. Are there Other Teeth Whitening Options Available? If you prefer at-home teeth whitening, Dr. Russell also offers DayWhite by Zoom!. DayWhite is an effective, safe product that has been used by more than 10 million patients since it debuted on the market. DayWhite can be used as a treatment for stains for 1 to 2 weeks, or longer for more severe staining. You can also purchase a DayWhite kit to maintain or touch-up results from our in-office Zoom! teeth whitening treatments. Teeth whitening can help you look better and feel more confident every day. Perfect for preparing for a class reunion, a wedding, an important date, a photo shoot, a job interview or any other special event, Zoom! 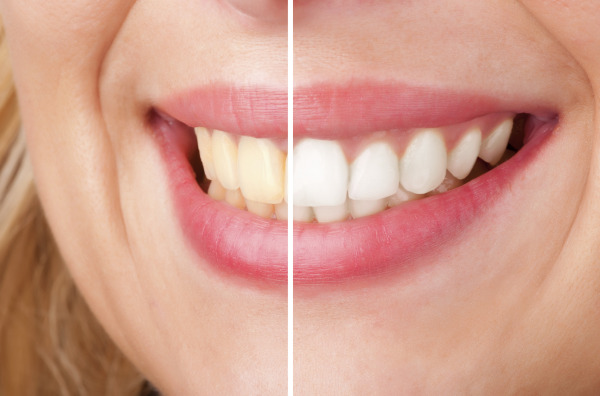 laser teeth whitening at our Annapolis office can give you pearly white results in no time. Call our office today to schedule a consultation and find out if Zoom! is right for you.